Job Coaching Services (JCS) helps individuals to be successful in their jobs once they are employed. It helps them to learn their job duties and maintain good attendance and punctuality. Individuals also learn to get along with co-workers and supervisors and meet the demands of work. In most cases, the employer takes an active interest in JCS to ensure the individual’s success. Job Coaching services are time-limited, and vary based on individual needs. Under the CSC SE program, individuals are trained by qualified professionals. Participants learn a skill/trade and become competent wage earners. Job Seeking Training Skills (JSTS) includes instruction in employment application completion, writing cover letters and ‘thank you’ notes, resume development and production, skills identification, interviewing skills and a mock interview, an informal work values inventory, grooming and hygiene for employment, confidence building, goal setting, methods utilized in conducting an active and effective job search and job retention. Upon successful completion of JSTS, individuals participate in job placement services and conduct their job search with the assistance of the job placement specialist. ALU is the residential program for individuals with severe and profound disabilities. An ALU is a home or an apartment that accommodates up to three individuals. 24-hour staff supervision includes assistance with health related appointments, clothing and grocery shopping, social activities, and special events. The home is licensed by the Office of Health Care Quality, the licensing and monitoring agency of the Department of Health and Mental Hygiene in Maryland. Each home meets the quality standards of State regulations which determine ongoing residential programs for individuals with disabilities. Small Group Homes that accommodate up to four adults are licensed homes in the community. They resemble an ALU except for the number of individuals that live in such a home. CSLA is a program designed for adults who are at higher functioning levels. The program envisions specific objectives that are accomplished within a period of time. 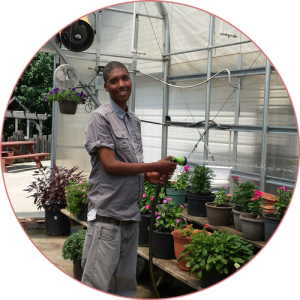 These individuals are able to make their own choice towards their growth and independence. An individual in the CSLA program selects his/her home, roommate, CSC staff, supports, and makes decisions that affect his/her lifestyle. They receive more traditional supports from the community to maintain a lifestyle that is totally determined either by the individual or his/her family.